This book is an exploration of the environmental makings and contested historical trajectories of environmental change in Turkey. Despite the recent proliferation of studies on the political economy of environmental change and urban transformation, until now there has not been a sufficiently complete treatment of Turkey's troubled environments, which live on the edge both geographically (between Europe and Middle East) and politically (between democracy and totalitarianism). 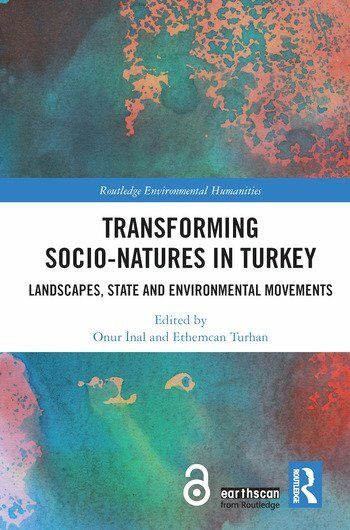 The contributors to Transforming Socio-Natures in Turkey use the toolbox of environmental humanities to explore the main political, cultural and historical factors relating to the country’s socio-environmental problems. This leads not only to a better grounding of some of the historical and contemporary debates on the environment in Turkey, but also a deeper understanding of the multiplicity of framings around more-than-human interactions in the country in a time of authoritarian populism. This book will be of interest not only to students of Turkey from a variety of social science and humanities disciplines but also contribute to the larger debates on environmental change and developmentalism in the context of a global populist turn. Onur Inal is a researcher based in the Department of Near Eastern Studies, University of Vienna, Austria. Ethemcan Turhan is a researcher based in the Environmental Humanities Lab, Division of History of Science, Technology and Environment, KTH (Royal Institute of Technology), Sweden.